In this edition, meet Stan State alumnus Sedrick Mitchell, deputy director for external affairs for California State Parks, and read stories from two other Stan State Warriors who found the courage to succeed in life during their journeys in higher education. Also, learn about how three friends at Stan State in the 1980s all have become best-selling novelists, including one who has picked up the baton of late thriller writer Tom Clancy. In addition, there are stories about the new Warriors on the Way program that allows San Joaquin Delta College students to complete their four-year degrees in Stockton, a look at how faculty and staff who are military veterans share their experiences to mentor students, a story of a former Warriors soccer player who made news with his charitable works at the most recent World Cup in Russia and much more! In this edition, STAN Magazine examines how the University is working to make certain Stan State is a place where are all welcome, where all belong. In addition, there are stories on the early successes of Graduation Initiative 2025, and a look at how the Stockton Center is using community partnerships to help spur growth. You’ll find a feature on men’s basketball coach Larry Reynolds and his fight with Parkinson’s Disease, as well as a look at a hands-on archaeology course than has students getting their hands dirty on campus. You also will find stories on the accreditation process and a feature on Stan State graduate student Maggie White, who is leading the California State Students Association. In this issue, we take an in-depth look at how the University educates first-generation students. In the freshman class that entered Stan State last fall, nearly 79.7 percent self-identified as being the first in their families to attempt to earn an undergraduate degree. Included in the special report is a centerpiece examination of how Stan State faculty and staff support first-generation students, and other stories that follow the first-generation theme, such as a feature on the Faculty Mentor Program and profiles of successful Stan State first-generation graduates. There are also highlights of students, faculty and staff members who themselves were first-generation, addressing the challenges they faced and the successes they achieved in college. In this issue, learn about President Ellen Junn, her motivations and aspirations, and meet her husband Dr. Allan Greenberg. In addition, you will discover how instructors in each of Stan State’s four colleges are going off campus to use the entire region as their classrooms. You will meet Aaron Allaire, the assistant athletic director for facilities and game operations. And you will learn about the renovations to the campus pool complex and how it will benefit Stan State as an educational resource. We also are proud to highlight the many volunteers and donors who contributed to student scholarships this past year through the annual One Purpose campaign. In this this issue, we feature the Warrior pride that has been reignited on campus and in the community during the tenure of Stanislaus State President Joseph F. Sheley, who is retiring July 1st, and how that pride will be a driving force for generations to come. You also will learn about the year-long process undertaken at the University to develop and unveil our new brand, and how that process is continuing. In addition, you'll meet Maggie White, who currently is serving as a student representative for the California State University Board of Trustees - a voice for the 467,000 students enrolled in the CSU. And, we are proud to highlight the many volunteers and donors who contributed to student scholarships this past year through the second annual One Purpose campaign. In this issue, we feature the work of our students in the ever-expanding world of geographic information systems, which offers endless ways to layer and examine data for the purpose of understanding the relationships of people and their surroundings. 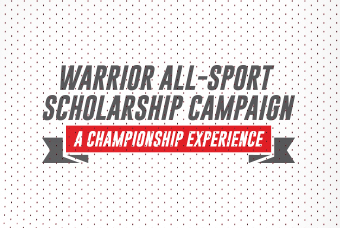 You also will learn about how Stanislaus State alumni and staff are keeping in touch with current students through the Dinners for 12 Warriors program. In addition, you'll meet Director of Athletics Mike Matoso and learn how he's shaping the perception of Warrior Athletics throughout the region. And, as we launch the second annual One Purpose campaign, we're proud to recognize the many volunteers and donors contributing to the effort that allowed One Purpose to award more than 165 scholarships in its inaugural year. In this issue, we feature the work of our students, guided by Anthropology Professor Steve Arounsack, to preserve cultural stories from throughout the Central Valley. You will also learn about Stanislaus State alumni and staff who are making a positive impact in their communities through education and service. Additionally, we are proud to highlight the many volunteers and donors who contributed to student scholarships this past year through the inaugural One Purpose campaign. Stanislaus State is pleased to announce the return of STAN Magazine, a biannual publication designed to spread the word about the University and its successes throughout the region. The Fall 2014 issue of STAN Magazine is now available. In this issue, we introduce you to the new One Purpose fundraising campaign for student scholarships, including stories on students who have succeeded thanks in part to scholarships they received. You can also learn about the university's new nursing simulation lab and hear from proud alumnus Brett Tate, founder of Dust Bowl Brewing Company. There's much more in this issue, and we look forward to bringing you more stories of success from Stanislaus State in future issues.